2002 Jayco Designer 37ft 5th wheel camper with 3 slide outs in excellent condition. 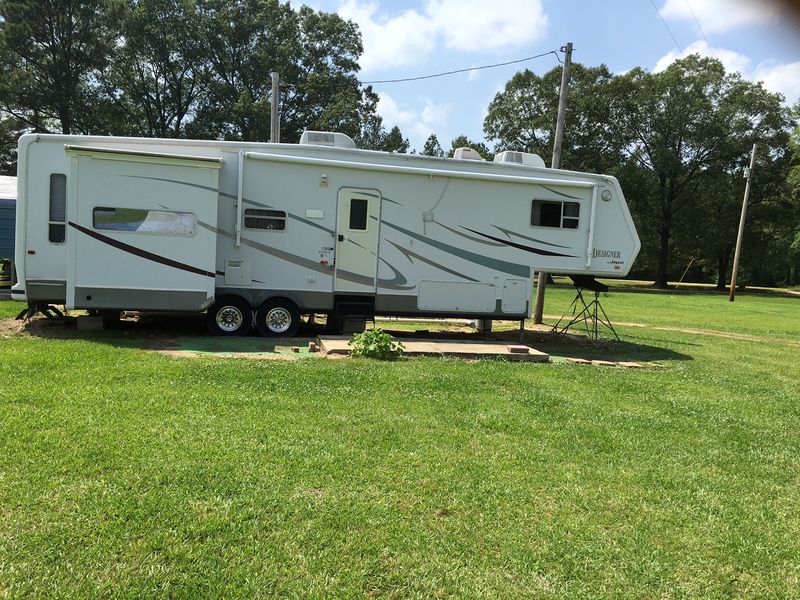 Fully furnished with 2 recliners, pullout bed couch with built in recliners table with 4 chairs, entertainment center, queen bed, large closet, walk in shower and washer/dryer combo, lots of outside underneath storage. For appointments to view please call Gary at 870-723-5633 or Erica at 870-723-9431 between 8am & 7pm. This entry was posted on Monday, May 16th, 2016 at 12:44 am	and is filed under Classifieds. You can follow any responses to this entry through the RSS 2.0 feed. You can leave a response, or trackback from your own site.